Need something ? Call individuals through Hkcalling and get what you need for a cheap price ! 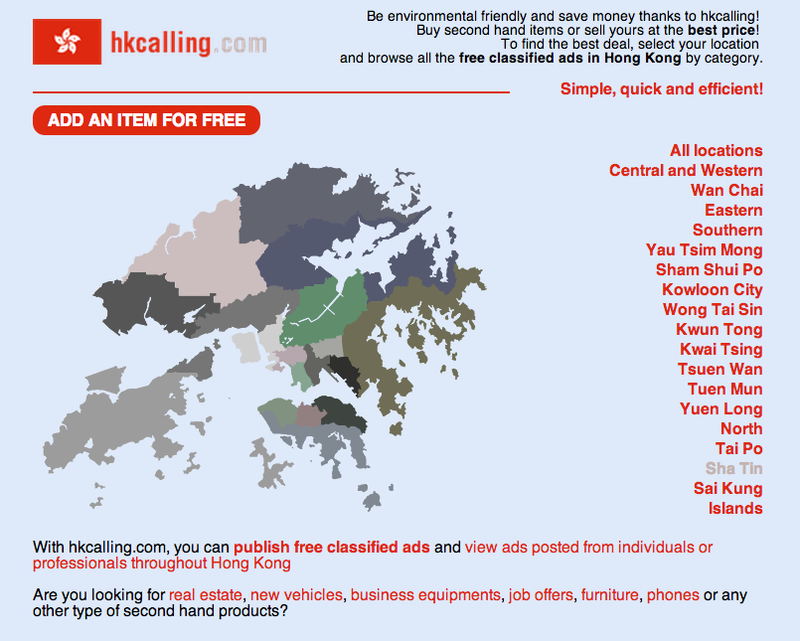 Hkcalling is one of the top free classified ads in Hong Kong. With a very unique design providing simplicity and efficiency, Hkcalling has brought thousand of new customers just after his launching. - Publishing is free and much more quicker, you do not need to create or have an account. - Consulting articles, retrieving seller informations is free, no need to create or have an account. - The traffic is growing every day, with always more items. - Articles are relatively cheap.